Not all math questions are about MATH! Some of them are created to test the way you observe and logically think. This is children’s puzzle that most adults fail to answer correctly. 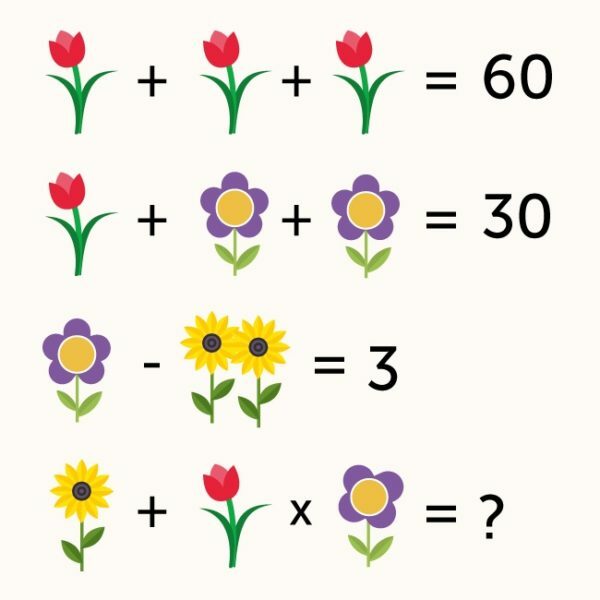 Note that this puzzle is NOT just about the math but also about your sharpness at observing details. When you think you have the correct answer scroll down! If you are sure that’s your final answer scroll down! So did you get 105? Or perhaps, 102? The answer is in fact 81. The chances are you didn’t get it because of two subtle details. So, 20×4 + 1 = 81. If you got that — congratulations! You’ve have excellent attention to detail. And you are better than most adults!